Crusaders for Christ Billboard Ministry is based on Isaiah 62:10. We believe: God will transform the billboards into lighthouses, so that many can return to Him. For America to retain its Christian heritage and to have a revival of Christianity. 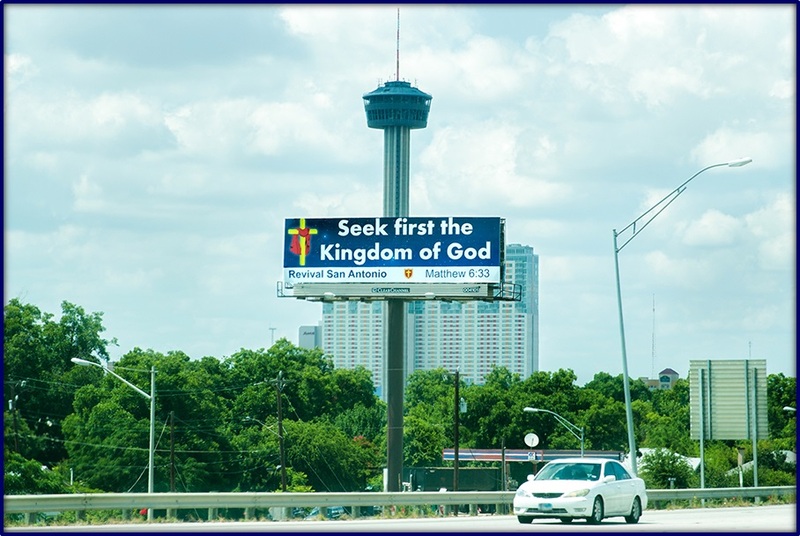 Crusaders for Christ is setting the stage with billboards for a Spiritual Awakening and preparing the way for household revivals through "Revival San Antonio". Crusaders for Christ will not remain silent or idle when blasphemy is directed toward our God.